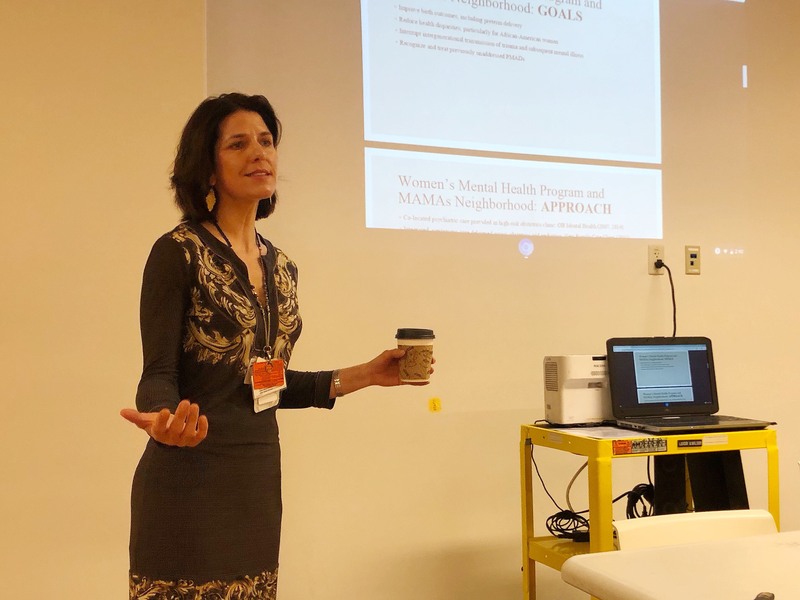 Dr. Emily Dossett, a reproductive psychiatrist who founded and directs the Women’s Mental Health Program at LAC+USC, said that about a quarter of women experience depressed moods during pregnancy in Los Angeles County. For black women, the rate is higher: 35.8 percent reported a depressed mood in pregnancy, compared to 18.5 percent of white women and 27.5 percent of Latina women, according to a county-wide survey. That’s why Dossett collaborates with the East Los Angeles Women’s Center, founded in 1976 by volunteers. Today, the center works to connect survivors of domestic violence and sexual assault — especially in local Latino communities — to resources such as crisis support, therapists, lawyers, housing, self-defense classes and other services. Awareness of maternal mortality and mental health has increased in recent years, thanks in part to reporting from ProPublica and personal accounts of celebrities such as Serena Williams and Beyoncé. Additionally, the U.S. Preventive Services Task Force recently updated its recommendation that doctors screen pregnant and new moms to identify those most at risk of becoming depressed. Former California Gov. Jerry Brown signed into law late last year two pieces of legislation that will help pregnant and new mothers get help for maternal mood disorders. And just this week, the Food and Drug Administration on Tuesday approved brexanolone, the first drug specifically targeted to treat postpartum depression.